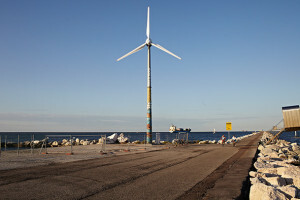 More than 200 wind turbines in operation! 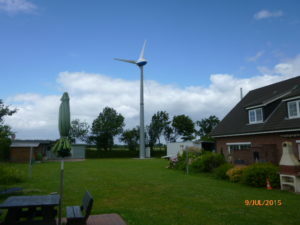 First wind turbines of this technology run since 2002! 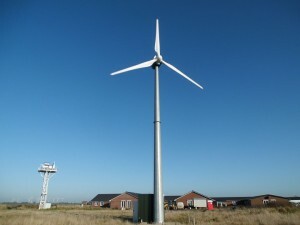 Rated power 10 kW already at 7,5 m/s! The result is a more economic ratio cost to output. 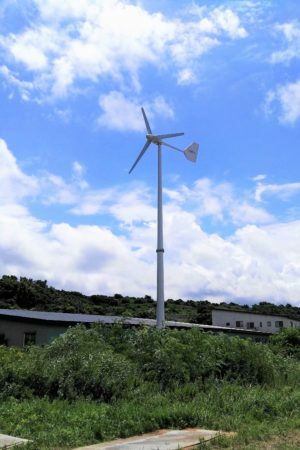 Extra large rotor diameter of 13.2 m and according swept area of 136,7 m² in ratio to the rated power of 10 kW. 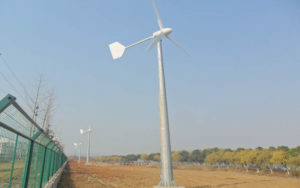 Then swept-"yield"-area matters first for the energy production. 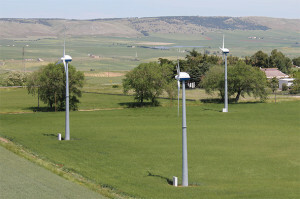 Compare the certified AEP with other 10 kW wt at same and 20 kW wt at low wind speed. 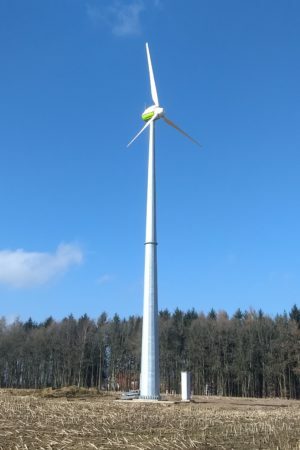 Example: Referred to the certifications this wt produces at 4,0 m/s 50% and at 5,0 m/s 35% more compared to a 10 kW-Windkraftanlage with similar rotor diameter, but with two blades, asynchron generator and gear box. 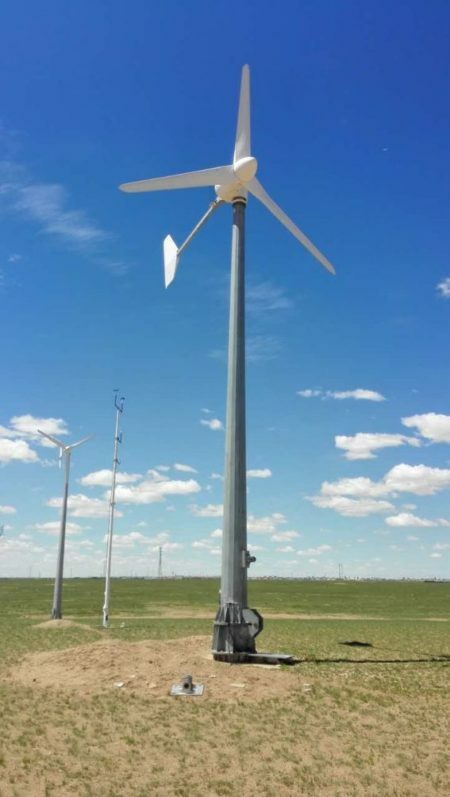 This wind turbine is available for on grid and off grid and as part of hybrid systems in combination with solar, battery and diesel generator. 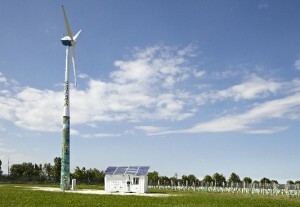 Scalable, flexible and modular system up to 200 kW. Growing with your demand, i.e. for rural electrification. Please contact us for further information. on grid start at 29.900 Euro excl. VAT. 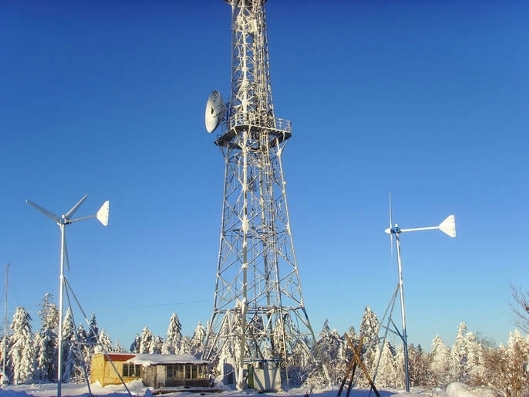 Complete including free standing monopole tower hub height 12 m.
Low energy cost and reliable, simple and proven technology! Certified power curve and AEP and noise report! * values according to certification standard. Without guarantee. 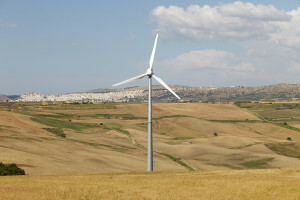 Actual AEP depdends on wind and site condition.